PAREXEL International – Duggan Brothers Ltd. 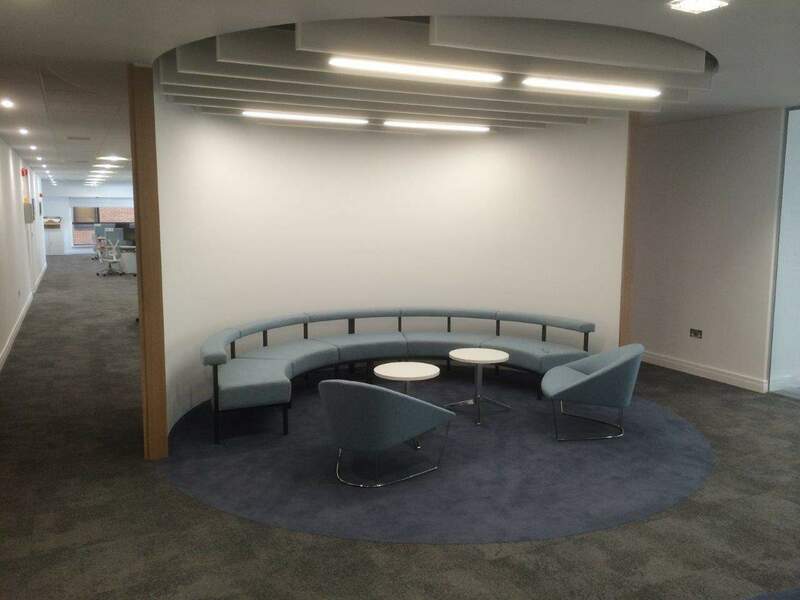 This project involved the fit-out of two floors, Levels 1 and 2 of the existing ‘Building 2’, within a large mixed use office development in Kilmainham Square, Dublin 8. The area to be fitted out is approximately 3,000 sq. m. The previous fit-out of these floors, which were occupied by Amazon, had been removed in a demolitions contract. ‘Building 2’ is an office building of 5 floors with a central atrium that shares a common basement car park with all 5 adjacent buildings within the larger development. - Adaptation and alteration of the existing HVAC and mechanical services. cabling). Low voltage and extra low voltage installation including access control and security. - Installation of loose furniture/art this includes all workstations. 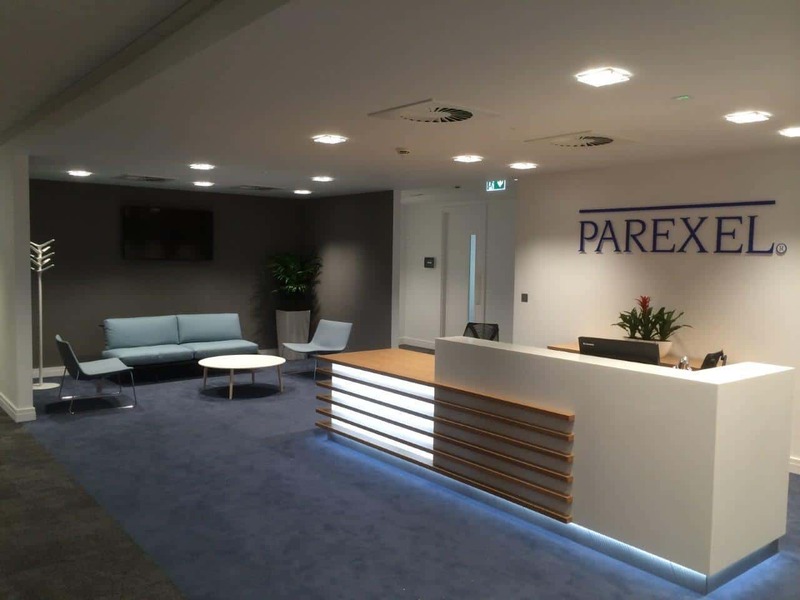 Duggan Brothers (Contractors) are happy to announce that the Parexel Office fit-out, Kilmainham, Dublin has achieved LEED CI 2009 “Gold” status. Though the initial LEED pre-assessment indicated a “Silver” level of certification was most likely, the development of the LEED process over the duration of the project pushed the points above 60 to achieve a “Gold” certification level (63 points were awarded in total). 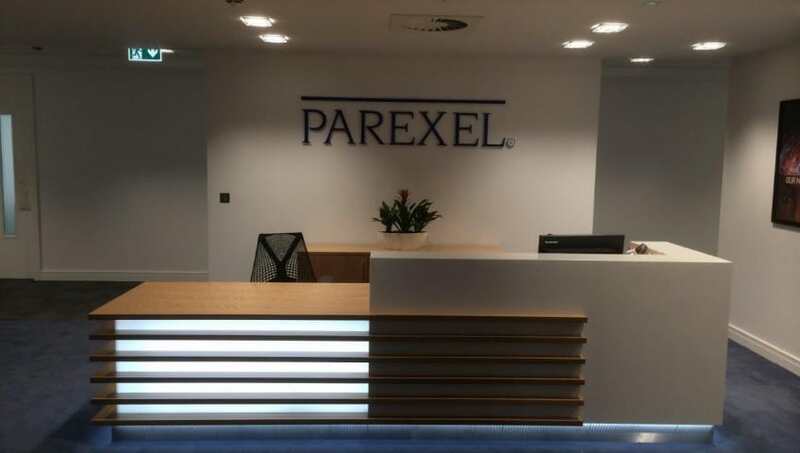 This was great new for our Client PAREXEL International who commented on the effort made by PM Group, Duggan Brothers and the various sub-contractors involved who contributed to this achievement.